Prime Minister Dr Hubert Minnis was in Grand Bahama last week to meet with key stakeholders as part of his administration’s efforts to reinvigorate the island’s economy. “The first mandate given to this office is the economic revitalization of Grand Bahama,” he said. During the visit, Minnis announced that Grand Bahama will soon host a GB Tech Summit, with leading local and international technology companies. “The summit will expose entrepreneurs to the global market and Grand Bahama will be on the way to becoming a tech hub of The Bahamas,” Prime Minister Minnis told members of the media August 25 at the Office of The Prime Minister in Freeport. The announcement came following a meeting with Minister of State for Grand Bahama Kwasi Thompson and Parliamentary representatives in Grand Bahama. The PM went on to note other government initiatives to spur the local economy. The PM also discussed the establishment of the Grand Bahama Investment Promotions Board with its mandate to drive foreign direct investments to Grand Bahama and create greater opportunities. 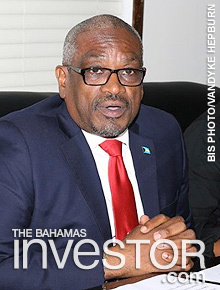 Prime Minister Minnis said meetings in Grand Bahama included fruitful talks with representatives from Hutchison Whampoa, which operates hotels on the island, on the forward movement of the Grand Lucayan Hotel strip, although the Prime Minister declined to give a timeframe for developments. During his time in Grand Bahama, the Prime Minister and his team also met with the principals of Harcourt Development. 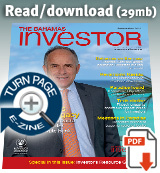 TigerWit Group, the financial technology company, has announced its subsidiary, TigerWit Financial Services Ltd, is now authorised and regulated by the Securities Commission of The Bahamas.